FREE delivery to United Kingdom in 4 weeks. Dokka is a small light with a big history. Designed in 1954, Dokka was the first lamp from Norway to receive a Golden Medal award at the prestigious Triennale di Milano. Acclaimed for its smooth contours, precise proportions and sleek handling of materials, Dokka had the potential to become a design classic from day one. Dokka became one of the best-selling pendant lamps ever produced in Norway, then abruptly disappeared when the previous manufacturer discontinued their lighting range. In 2007, Northern Lighting re-launched Dokka, taking care to preserve the features that made it a design classic. Northern Lighting recently added four new matt colours to the Dokka series – aqua green, petrol blue, light grey and dark grey – and developed new finishes for the existing black and white versions. Today, Dokka is expertly crafted in durable painted steel and made to last. An icon of its time, Dokka remains popular today, and is destined to become an antique in the future. Award-winning designer Birger Dahl (1916 – 1998) was a pioneer of contemporary Scandinavian lighting. The mid-century years were a formative period of his work, when he forged his signature streamlined style and launched a new vision of lighting design. 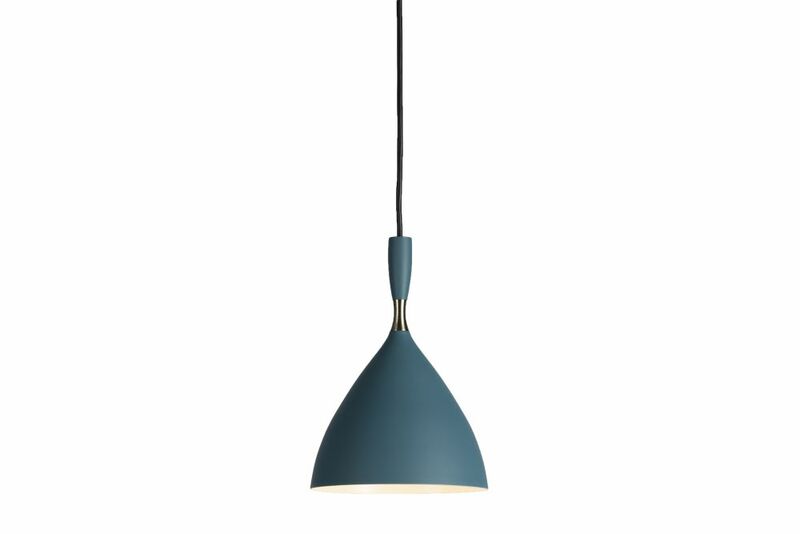 Dahl’s career had actually begun the previous decade, when he became head of design at Norwegian electronics firm Sønnico and created the award-winning Dokka pendant lamp. Dokka was the first lamp in Norway to receive a Golden Medal award at the prestigious Triennale di Milano, which brought Norwegian lighting under the international spotlight. While acclaimed for his lighting designs, Dahl is also considered to be one of Norway’s leading Post-war interior architects. Strict geometric shapes, such as circles, cones and cylinders, were the building blocks of Dahl’s design vocabulary, which he softened with gentle contours. He emphasised the purity of form, highlighting the shape of the object rather than hiding it behind decorative details or layers of ornamentation. Sensibilities like these explain why his work still appears modern today, and why lighting designs such as Dokka and Birdy are so compatible with the interiors of our time. We create furniture, lighting and accessories that are Nordic in spirit, yet global in style.